This is the rest area on interstate 85 close to Dinwiddie, mile post 55. 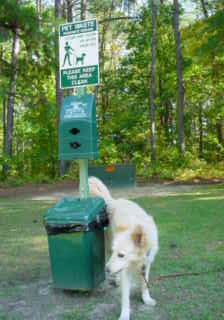 I really like these pet rest stations with the little baggies and a trash can to put the full bags in. Can you see who that is over there? I think we saw him yesterday in South Carolina. 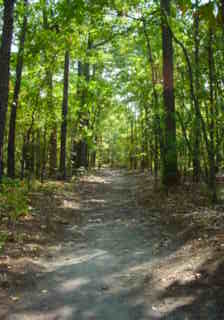 And look at that nice wooded trail. 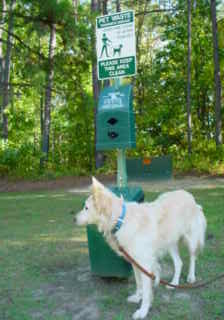 That is part of the rest area and I think I smell a squirrel! 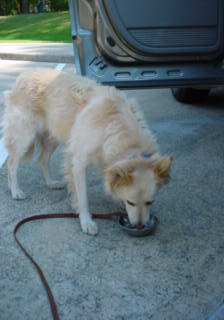 I don't know why my Alpha says that we stop 'to change the water in the dog.' But I do get thirsty after over marking all the those spots. 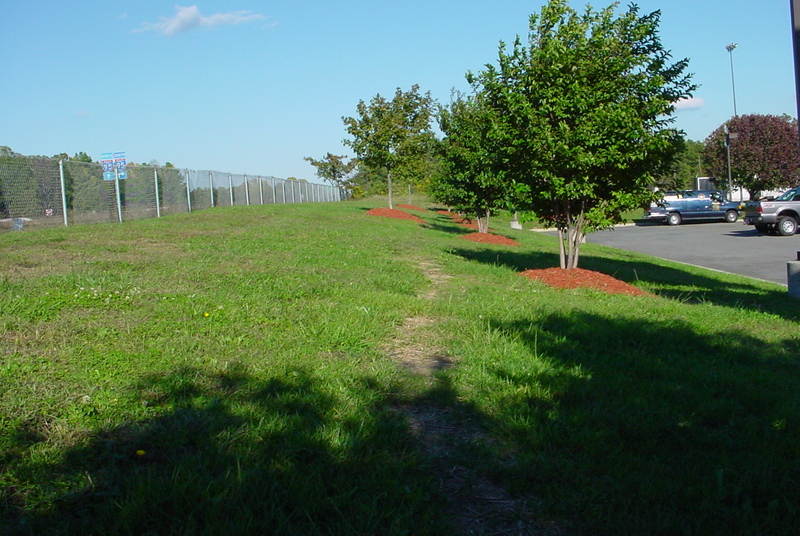 This is some of the good grass at the Flying J on interstate 95, mile-post 104. This strip is a little narrow, but it is so much nicer that two "sprigs of weed" at an all cement filling station.